1853 marriage record for William McGillion and Ann Munn from Register of Marriages for St. Patrick's RC Church, Philadelphia. The top image shows the crossed out entry in the Register of Marriages for Assumption BVM Church, Philadelphia, for the marriage of William McGillin and Catherine McCoy on 5 April 1865, the date that is also given in Philadelphia City Records. The bottom image shows the marriage being shoehorned in between two entries in April 1864, so as to make it seem that the marriage was celebrated on 5 April 1864. However, the record is clearly contemporary to 1865, as there is no sequence number to the 1864 record, but there is for the 1865 record. 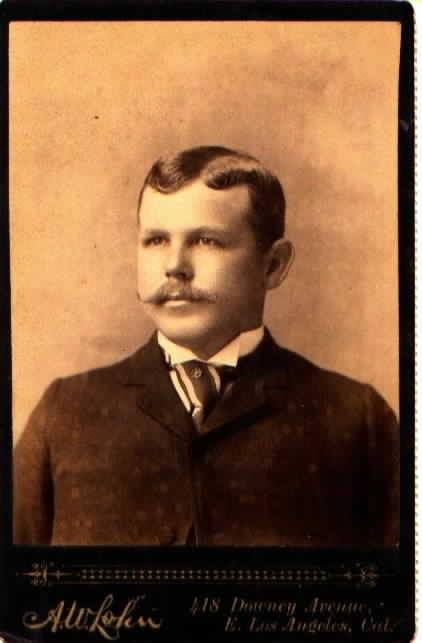 William John McGillin. Picture from 1901 article in the Philadelphia Times reporting on his death. McGillin's Old Ale House, Philadelphia, in 2014. The top story was removed after a fire. 1901 Philadelphia Death Certificate for William McGillin. Obituary for William John McGillin. 1941 Postcard for McGillin's Old Ale House with pictures of "Pa" and "Ma" McGillin. Original in the collection of the Historical Society of Pennsylvania. Year of birth would be 1825-1826, according to age (75 years) in 1901 Philadelphia City Death Certificate. Location of birth given as Ireland. Year of birth would be 1826-1827, according to age (74 years) in obituary published in the Philadelphia Inquirer, Friday, 30 August 1901, page 12. A William McGillin, age 20, is enumerated as a laborer with two apparent brothers, Robert McGillin, age 22, and Thomas McGillen, age 18, in the 1850 U.S. Census for Pennsylvania, Philadelphia, page 466, line 26. Location of birth given as Ireland. Enumerated in the household of Charles "McCafiden" and his wife Mary. It is noteworthy that two of William McGillin's sons of his first marriage were named William Thomas and Robert. Year of birth would be 1826-1827, according to age (38 years) given in Philadelphia Marriage Register for 1865, page 14, line 31, on microfilm in the Philadelphia City Archives (Cabinet 7, Drawer 1 , Reel 2). Place of birth given as Ireland. Year of birth would be 1828-1829, according to age (41 years) in 1870 U.S. Census for Pennsylvania, Philadelphia, page 108, line 23. Location of birth given as Ireland. Enumerated as Wm. 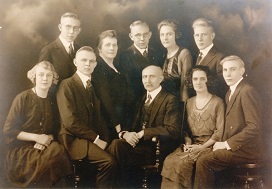 McGillian, with wife Catherine McGillian, along with other relatives and employees. Year of birth would be 1829-1830, according to age (50 years) in 1880 U.S. Census for Pennsylvania, Philadelphia, page 397A, line 16. Location of birth given as Ireland. Enumerated as William "McGillen" with wife Kate, children, and 4 servants, three of whom were listed as bartenders by occupation. Month and year of birth given as June 1827 in 1900 U.S. Census for Pennsylvania, Philadelphia, E.D. 147, Sheet 1B, Line 59. Location of birth given as Ireland. Enumerated as "William McGillam" with spouse Catherine and children, grandchildren, and boarders and servants. Year of immigration given as 1850 in 1900 U.S. Census. Two potential immigration records for 1850 exist for William McGillin. The more likely immigration record is for a William McGillon, age 21, a shoemaker from County Tyrone, Ireland, arriving in New York on the ship "Princeton," on 19 April 1850. This record is found in the database "Irish Immigrants: New York Port Arrival Records 1846-1851," on www.ancestry.com. The record is deemed to be more likely because in a number of the early records for William McGillin in the Philadelphia City Directories for 1856, 1860, and 1861, as well as in the 1865 birth record for his daughter Mary Ann, William's occupation is given either as shoemaker or bootmaker. This immigration date also places him in the United States prior to the enumeration date for the 1850 Census sheet in which he appears. The less likely immigration record is for a William McGillan, arriving on 23 May 1850 in New Yok City, on the ship "Hyndeford" from Glasgow, Scotland. William McGillin's enumeration in the 1850 U.S. Census did not take place until 21 August 1850, making this record possible. The original record in on "Registers of Vessels Arriving at the Port of New York from Foreign Ports, 1789-1919." Washington, D.C.: National Archives and Records Administration. M237, roll 88, and is indexed in "New York, Passenger and Immigrations Lists, 1820-1850" on www.ancestry.com. A William McGillian filed a Declaration of Intent to become a citizen in Philadelphia Common Pleas Court on 13 October 1856, according to Filby, P. William, ed. Philadelphia Naturalization Records. 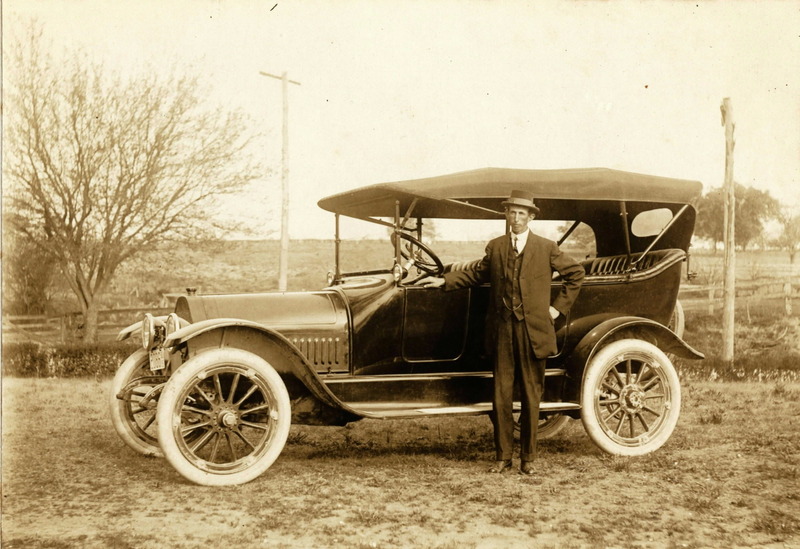 Detroit, MI, USA: Gale Research Co., 1982, online on www.ancestry.com. Wife named as Catherine McGillin in his and his wife's obituaries, but the 1870 census record shows children from a previous marriage. The fact of two marriages was confirmed in oral history relayed by the current owner of McGillin's Olde Ale House, Christopher Mullens, to Robert M. Simon on 31 August 2011. Full date given as 19 May 1853 in marriage register of St. Patrick's RC Church, Philadelphia, entry 865, available on findmypast.com. Wife named (in Latin) as Annam Munn, Witnesses -- William Ramsey and Bridget Morris. Priest -- G. O'Hara. First marriage is also evidenced by the existence of 3 children, ages 10-14, in the 1870 U.S. Census Record for William McGillin and his wife, Catherine. They are listed in descending age sequence along with the known children of his marriage to Catherine McCoy. All are listed as being born in Pennsylvania. In the death record of one of the three children, John Joseph McGillen, the mother is named as Ann. This is consistent with the marriage record for William McGillin and his first wife, but the record also gives the name of the father as John. This makes the assignment of his spouse's name a little unclear--John was apparently the middle name of William McGillin, but only appears in references to his son, who was known as William John McGillin, Jr. One assumes that the undertaker did not correctly get William's name. Full date of 5 April 1865 given in Philadelphia Marriage Register for 1865, page 14, line 31, on microfilm in the Philadelphia City Archives (Cabinet 7, Drawer 1 , Reel 2). Couple described as William McGillian, Hotel keeper, resident of Philadelphia, born Ireland, age 38; and Catherine McCoy, resident of Philadelphia, age 17. Catholic ceremony performed by Rev. C.J.H. Carter, 1121 Spring Garden Street. This was the address of Assumption BVM Roman Catholic Church. Full date of 5 April 1865 corroborated by an entry in the Register of Marriages for Assumption BVM Church, Philadelphia, on this date for William McGillian and Catherine McCoy. The entry was subsequently struck out and a new entry interpolated into the register for 5 April 1864. It is clear, though, that the 1865 date is the correct one, as that date has a sequence number, whereas the interpolated entry for 1864 does not. Witnesses -- Peter McGillian and Margaret Moran. Wife named as Catherine McGillam in 1900 U.S. Census for Pennsylvania, Philadelphia, E.D. 147, Sheet 1B, Line 60. Record states that they were married for 36 years, yielding an estimated year of marriage of 1864. In the 1930 U.S. Census, the age at marriage for Catherine McGillin as given as 16 years. Given that her year of birth was 1848, this supports a marriage in 1864. Broad n[ear] George (McElroy's Philadelphia City Directory: 1856, page 407) Note: George Street was the former name of Sansom Street to the west of Broad Street. Jefferson bel[ow] 15th (McElroy's Philadelphia City Directory, 1857, page 426) Note: Jefferson Street was the former name of Moravian Street, so this would be the 1400 block of Moravian. 1403 Moravian Street (shoemaking business); 1419 Moravian Street (home address) (McElroy's Philadelphia City Directory, 1860, page 622) Note: Moravian Street was 1 block south of Sansom Street, to the west of Broad Street. It was also known as Jefferson Street during the1850s. Broad n[ear] Sansom (tavern); 1419 Moravian (home) (McElroy's Philadelphia City Directory: 1862, page 424) Note: These two addresses would have been just around the corner from each other. Broad bel[ow] Sansom (tavern); 1427 Moravian (home) (McElroy's Philadelphia City Directory: 1863, page 485) Note: These two addresses would have been just around the corner from each other. 3735 Market Street, Philadelphia (liquors) -- address in Gopsill's 1870 Philadelphia City Directory, page 997; 1871 Philadelphia City Directory, page 941; and 1874 Philadelphia City Directory, page 866, in addition to the address given on South Juniper Street (and for 1874, Drury Street). 1310 to 1314 Ionic Street, Philadelphia, Pennsylvania (1900 U.S. Census) Note: Drury Street was sometimes referred to as Ionic Street. Full date given as 29 August 1901 in Philadelphia City Death Certificate No. 5554 (1901), available online in Pennsylvania, Philadelphia City Death Certificates, 1803-1915 on www.familysearch.org. Cause of death given as apoplexy. Full date also given as 29 August 1901 in obituary published in the Philadelphia Inquirer, Friday, 30 August 1901, page 12. Full date given as 2 September 1901 in Philadelphia City Death Certificate No. 5554 (1901), available online in Pennsylvania, Philadelphia City Death Certificates, 1803-1915 on www.familysearch.org. Buried in Holy Cross Cemetery, Yeadon, Pennsylvania. The above information is also given in obituary published in the Philadelphia Inquirer, Friday, 30 August 1901, page 12. OBITUARY: The following obituary was published in the Philadelphia Inquirer, Friday, 30 August 1901, page 12. "McGILLIN. -- On the 29th inst., William McGillin aged 74 years. Funeral on Monday morning at 9:30 o'clock, from 1310 Drury street. Solemn requiem mass at St. John's Church. Interment at Holy Cross Cemetery." A connection to Northern Ireland is documented by the 1930 U.S. Census entry for Michael J. McGillin, the son of William and Catherine McGillin. In the census entry, he states that both his father and mother were born in "Ulster Northern Ireland." A further link within County Tyrone is suggested by the birth locations for some of the McGillins who are not the children of William McGillin, but who are buried in the grave site that he owned in Cathedral Cemetery, West Philadelphia. These McGillins are the descendants of Bernard McGillin and Alice Keenan, who lived in Glenroan Townland, Plumbridge District, Upper Bodoney Parish, County Tyrone in the 1850s and who appear in Griffiths Valuation for Glenroan Townland. The family surname in Irish records is McGillian or McGillion. Further research is needed to determine if one of these is the common ancestor of William McGillin and Bernard McGillin. Peter McGillian and Margaret Moran appear as both witnesses to William and Catherine's marriage and as baptismal sponsors of their first child, suggesting a close relationship. They apparently lived with one other, as they had an illegitimate child, James McGillian, in 1868.